So, the last full day we were in San Fran, we decided to do a City Tour. Backwards, huh?! Well, it was a pretty good tour to round out the weekend. After not throwing our boarding pass in the trash and dumping coffee on it, we boarded the bus for a 3 hour tour Oh, my…I actually sung that "a three hour tour…three hour tour" in my head as I typed that. There was a slightly older set of sisters that we met on the tour, so listening to them was a little humorous. Our meeting happened while we were standing in line and one of them was on the phone and the other was talking into the phone at the same time. My sister says to the one not on the phone, "are you two sisters?" And we were answered with, "How did you know?" We just started giggling. In fact, they were so much entertainment because we saw the similarities between them and ourselves. While on the tour and in the middle of a different conversation, one says to the other "you don't wear enough blush." And the sister replies, "Really? I feel like I wear too much…" And then it was back to the original conversation. Becky and I just looked at each other because that was totally something we would do! If you have a sister, I'm sure you understand all this. Back to the tour, so we saw the Golden Gate Bridge, the sign on the Golden Gate Bridge that said not to jump and gave a helpline phone number, the Painted Ladies (hum the theme of Full House here), Chinatown, the Crookedest Street, Nob Hill, tons of famous people's houses (or so we are told. How would we know any differently? ), Golden Gate Park, and all the other fun touristy places you're supposed to see. It was really worth is to get a sense of everything the city has to offer. That night we ate at one of the Warf vendors that basically just have carts setup. Mmmmmm…..yummy clam chowder. Then we washed it all down at Ghiradelli Square with some salted caramel hot chocolate. Oh my! Sooo yummy! The next day was our departure from San Fran, so we stayed low key and packed up that night. We got up, ate some crepes for breakfast and got ready for the shuttle to come get us. When we were in Napa, we bought some wine. Originally, I was going to check it on the way home since I wasn't checking a bag and we were flying the airline that allows bags to fly free. While we were waiting for the shuttle, we got a little nervous about this plan. So last minute (like 5 minutes after the time the shuttle was supposed to be there), I ran (again literally) to the World Market around the corner to buy those wine bottle travel coozie things. I literally almost died on the steps on the way down…luckily, I was an athlete that day and recovered. When I got back to the hotel, the shuttle was already there and my sister was nervously telling the driver that I'd be right back. Whew! Barely made it! My sister had bought this huge stuffed Otter for her dog as a gift at the Aquarium, so she had to carry it on board. In the time it took us to get it to the hotel and on the plane it went from being a otter to a leemer, to a beaver, to God knows what! So we would get some giggles out of each other referring to this stuffed animal as something it was not. Don't worry, we packed the wine into my sister's bag and they got home fine, too. The flight back was pretty uneventful in the way of having someone snore the whole time. But the taxis we each took home were a little questionable. Becky got in hers first and left. I waited for mine. When he got there I texted her "My guy just got here…off to the skin lamp factory." And she responded, "See u there. Look for the Beaver." 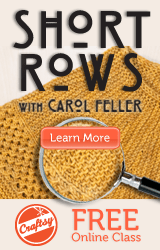 And tomorrow look for knitting content!